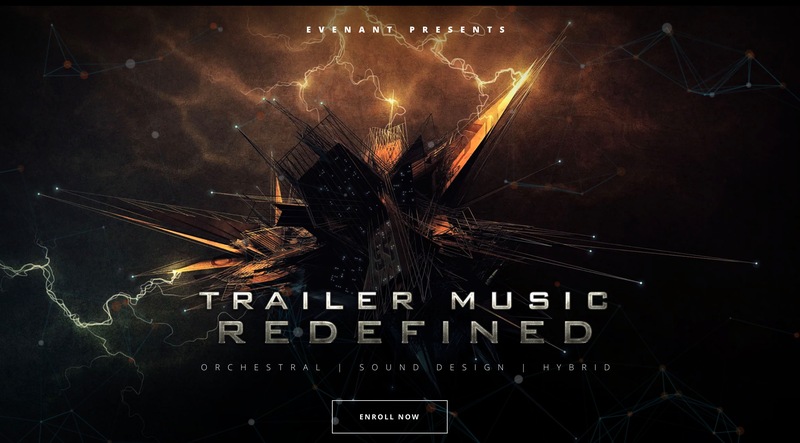 8Dio Hybrid Tools – Terminus is a library offering professional producer and composer over 1,200 custom cinematic instruments and FX for their next trailer, game and scoring to picture project. 8Dio did send a review copy with no strings attached. You download the library with the help of the 8Dio downloader tool, just enter the code you receive via email after the purchase and the tool will download the package and unpacks it. Terminus is a hybrid library published by 8Dio, it is in line with the other hybrid tools releases and adds several sounds, loops and effects to your all-in-one hybrid machine collection. 8Dio’s Hybrid tool include core effects, presets and features. Through features like REVERSE, RANDOM, STACK, and CHAOS you are able to produce new sounds. It is a collection of new sounds with a hybrid flavor enhanced with sound shaping functionalities within the tool. Included in the product are there Stems and MIDI files played in the video below, look for “The Captain – Master Class”. There is a MP4 included Troels Folmann runs you through the process how he with the help of different 8Dio libraries composed the score to the video below. The 4K Master Class is exclusive to Terminus and is not available online. 8Dio Hybrid Tool library shines with the inclusion of a sequencer. It includes all the needed basics to create living movement within the selected sound. The included curated Bonus Presets show off what you can do with the base sounds when shaping them with the onboard tools. Composer who are under the ever challenging pressure to produce new ideas and sounds, the Hybrid Tools series is a natural selection. 8Dio is able with the series to deliver professional grade mixed sounds that are still unique. Terminus sounds are very fitting with the currently required cinematic sound and effects. Ideal for the composer that do have very little time to tweak and fine tune, perfect when composing trailer which are always under commercial and time pressure. Terminus is in line with the UI used in other current 8DIO Hybrid libraries. You can select the sound or sound effect in the menu, stack it and apply effects using the onboard tools. As always use additional effects that you have available in your DAW or through external tools you purchased. The Hybrid Tools engine allows you to load a selection of presets or dedicated collections of Drums, Hybrids, Orchs, and Synths articulations and sounds. Terminus comes embedded with Metadata tagging, allowing you to search through the files directly using your sound file manager of choice. See below the files in AudioFinder. For professional user the integration into their prefered sound file management system tools is key. At 44.1kHz / 24 Bit WAV format all the sounds work seamless for composers, sound designers, and producer. 8Dio Hybrid Tools – Terminus is all about powerful sound design, in your face effects, violent smashing tones. Overall a powerful production library for your next trailer or movie/game score. The included sounds, tones, and effects are well designed and fit right for any modern composers and sound designers who need that vibe. 8Dio Hybrid Tools - Terminus is all about powerful sound design, in your face effects, violent smashing tones. Overall a powerful production library for your next trailer or movie/game score. The included sounds, tones, and effects are well designed and fit right for any modern composers and sound designers who need that vibe.